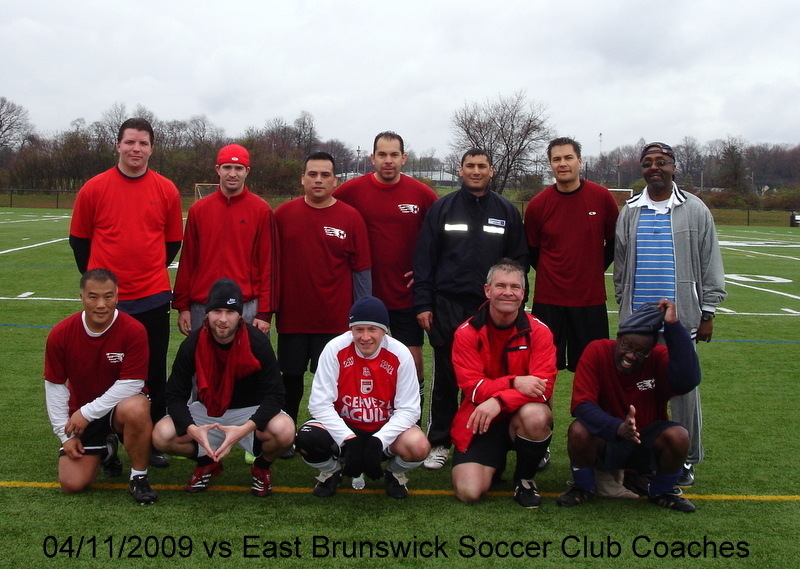 Coaches, assistant coaches, team parents, and volunteers of NBSC are all invited to play pick-up soccer game every Saturday morning 8:00AM at the North Brunswick Community Park. As of June 17th we are also playing evey Wednesday evenings 7:00PM. The field is located on Route 130 South. From Rt.1 take 130 South. Drive approx. 2 miles past Adams Lane. The park is immediately on the right. Entering the park take the first parking lot next to the Dog Park. Everyone should wear soccer cleats and shin guards. The field is wet early in the morning and it will be slippery. Reminder...this is a casual friendly event. Please be courteous to each other and no rough playing. If you are unfamiliar with pick-up soccer game please read these simple basic rules. Following guideline is based on games played with fewer than 11 per side. * When the ball goes out of bounds over the sidelines (touchline), it is put back into play by a kick-in from the spot it went out of bounds. The kick-in cannot be shot directly into the goal. * When the ball goes over the end line, it is put back into play either by dribbling or a kick-in from the spot it went over the end line. No corner kicks. * After a goal has been scored, play shall begin by a restart at mid-field. * Players can score from anywhere on the field. * All fouls are penalized by an indirect free kick. The opponent must be 3 yards away from the ball at the time of the kick. * No slide tackles are allowed. * No penalty kicks are allowed. * Substitutions are made on the fly. * Equal time shall be allowed for all players.